How are Changes in Journalism Benefiting Writers? As the concept of journalism evolves, the responsibilities of writers shift. 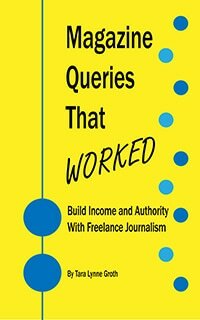 You may have read pieces that gripe about the non-paid requirements expected of journalists today, how writer compensation isn’t what it used to be, and that digital sensationalism trumps real facts. Platform. Writing great content is great, but if you don’t have effective ways of sharing it, you rely exclusively on search. Staff journalists and regular contributors to some markets are expected to grow and maintain an active social media platform. However, writers in this capacity are typically paid for their written content, not for content marketing. The benefit? It’s your platform. Or is it? Depending on how you operate your social media, you can benefit by plugging your book, editing services, consultations, etc. However, according to Time, “Twitter or Facebook accounts that were created by a company, and that incorporate the company’s brand name(s) or logo…are fully entitled to these accounts, even when employees who operate them depart.” If you consistently write for another entity, request a copy of their social media guidelines to ensure you are not infringing and that you maintain ownership to the followers you attract. Writing for big markets is a great way to grow platform—be sure you are growing your own platform and not someone else’s. Individual writing projects. One of the talked about developments in journalism over the past year was the crowdfunding of Matter. Two journalists estimated they needed a $50,000 fund for starting a science and technology site to be developed by investigative journalists. They successfully raised over $140,000. The project was started by Jim Giles who has written for The Atlantic and The Economist, and Bobbie Johnson, a former correspondent for The Guardian. No ceiling for pay. When it comes to writing project success, former Daily Beast columnist Andrew Sullivan is a fine contemporary example. The Dish is his blog, one that he profits from. (Check out this article that explains his blog is more profitable than the Daily Beast.) He’s developed a following over the years through his column and social media, and set out on his own writing projects—with no limit to the possibilities ahead.